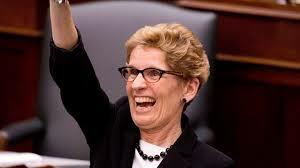 New Land Transfer Tax for ALL of Ontario??!! Ms. Wynne, stop the madness! Did you know that in 2008, the city of Toronto was given special powers by the Provincial govt to bring their own municipal land transfer tax? Since then, homebuyers in Toronto have had to pay 2 land transfer taxes. The Provincial one and the municipal one. On a $500,000 home, Land Transfer tax in Toronto is $12,200. In the rest of Ontario, it’s $6475. On a $750,000 home, LTT in Toronto is $22,200. The rest of Ontario, it’s $11,475. It’s a sliding scale with the % going up the more your home is worth. Yesterday, October 27th (remember this date), we saw news reports that the Ontario provincial is considering extending those same special powers to the rest of Ontario. I’ll repeat that… the Provincial govt, led by Ms. Kathleen Wynne, is considering extending special powers to allow the rest of Ontario to add their own municipal land transfer tax. And did you read that fine print? “As part of the review of the Municipal Act, comments will be accepted until Oct. 31.” I wonder why we haven’t heard about this major proposal before? Maybe I missed the original announcements? I’ve spoken with several of my peers and industry insiders and they didn’t have a clue this was on the Liberal agenda. But here’s the worst part of all.. We only have 3 days left to get our public comments in regarding this massive change that will each homeowner greatly… All out of your pocket! Forgive me for saying so but, you kinda get the feeling they are trying to jam this through with little or no input… don’t you? If you want to voice your opinion on this, I suggest you do it now! The Minister of Municipal Affairs and Housing is Ted McMeekin… You can email his office through Mark Cripps at Mark.Cripps@ontario.ca and by phone at 416 585 6842. Today, I received several calls from concerned consumers and clients about the effect of this tax. The answer is very simple. It will slow real estate sales. And if you combine this with the expected interest rate hikes (industry experts and economists agree that mortgage rates will go up based on the new Federal Liberal spend policy), then I think it’s safe to say that real estate sales and prices will not increase. I’m not sure we will see a market crash or major correction but this will affect all of us! Stay tuned as I will be monitoring this very closely. Previous Previous post: Have Fixed mortgage rates hit the bottom? Next Next post: Today is your last chance to stop DOUBLING of Land Transfer Tax. Interesting that everyone loves to hate Toronto….. nobody outside of Toronto complained when Toronto had to pay 2 taxes!! Now people outside of Toronto are all ready to complain when they might get the same crummy deal that Toronto got! I think your info is screwed up and misguided!! CanadaMortgageNews.ca New Land Transfer Tax for ALL of Ontario??!! Ms. Wynne, stop the madness!